Who likes coffee has one more reason for the next cup: researchers at the University of South Florida (USF) in the United States, we analyzed mice with symptoms similar to Alzheimer’s disease who ingested amounts of caffeine equivalent to five cups of coffee per day had a reversal in the frame memory loss and decreased production of amyloid beta-protein linked to the disease. Gary Arendash, a neuroscientist at the University, said the results show a new aid for the disease: “The discovery shows that caffeine could be a ‘treatment’ feasible for Alzheimer’s disease, and not just a prevention strategy. ” “That’s important because caffeine is a safe drug for most people, easily enters the brain, and appears to directly affect the disease process,” adds Arendash. The study was conducted with 55 mice genetically engineered to develop memory problems similar to those reported by patients with Alzheimer’s disease. When the mice began to exhibit memory problems at 18 or 19 months – equivalent to 70 years of humans – the researchers started to take caffeine in the water half the rats. After two months, the mice that received caffeine had better results on tests of memory and motor skills, while mice that received normal drinking water continued to go badly in the tests. “These are the most promising experiments done with rats on Alzheimer’s disease, and show that caffeine rapidly reduces beta-amyloid protein in the blood,” says Huntington Potter, Center for Alzheimer’s Research and USF. The research showed that the protein was reduced by almost 50% in the caffeine-treated mice. Researchers do not yet know if a smaller amount than 500 milligrams daily would be enough, but Arendash says that for most people, this moderate consumption does not bring adverse effects to the health of most people. A previous study showed that caffeine reduces the levels of a protein involved in the development of Alzheimer’s disease in the brain and in the blood of rats who had symptoms of the disease. Both surveys add up to a first survey, which showed that the substance ingested in early adulthood prevented the formation of memory problems. This entry was posted in food and tagged alzheimer, coffee on May 9, 2013 by norempli. Despite the condemning mythology surrounding the coffee bean, health professionals say that its benefits actually outweigh the cons. However, the fact remains that the coffee bean is loaded with caffeine, which is definitely the most popular drug used in North America, and therefore must be used with caution. For those who have constant cravings, it plays a powerful role in our lives, because love it or hate it, we have to have it. There is an abundance of foods that are regularly consumed that contain caffeine, from chocolate to energy drinks, not to mention the all-too-popular cup of joe. One can become hopelessly addicted to this drug, and this is due to brain chemistry. Caffeine competitively binds to adenosine receptors along the neural pathways and speeds up neural activity. This is the culprit of the heightened alertness that one experiences after some caffeine intake, as the rapid neuronal firing causes and increased release of adrenaline which is responsible for the fight-or-flight response. As a result, heart rate increases, pupils dilate, and muscles tense, all characteristics of the innate stress response. If this high level of stress is maintained for long periods (ie. by chain-drinking cups of coffee), serious health complications can arise. However, coffee is also associated with a host of health benefits, such as defense against diabetes, stroke and heart disease, as well as degenerative diseases. The scientific literature is quite compelling in terms of the evidence it offers supporting the prevention of Type 2 Diabetes. In 2005, Hu and his colleagues reviewed a host of studies in 2005 and found that individuals who drink 6-7 cups of coffee per day were in the lowest risk group, and were 35% less likely to suffer from diabetes, compared to those who had fewer than 2 cups per day. Another group of researchers in Australia evaluated the evidence and arrived at a figure stating that there is a 7% drop in the odds of developing Type 2 diabetes for every cup of coffee consumed per day. 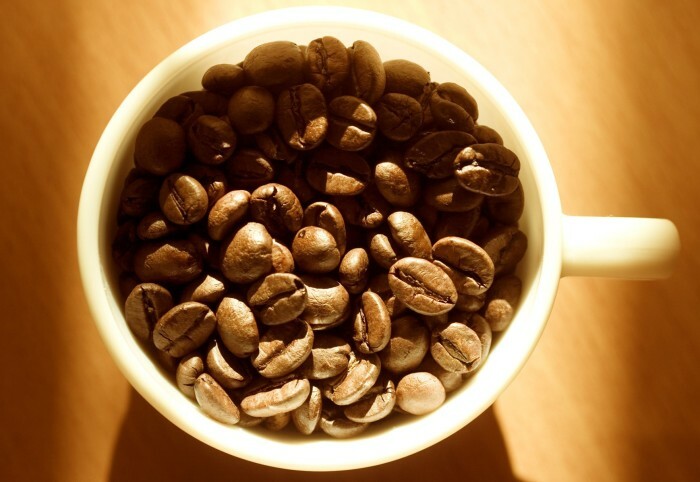 Coffee beans contain high concentrations of antioxidants as well as minerals. Antioxidants help prevent tissue damage, which minerals magnesium and chromium enhance the body’s ability to use the hormone insulin, which is responsible for regulating blood sugar levels. Type 2 diabetes is a chronic ailment in which the pancreas produce inadequate levels of insulin, or the body is unable to use the insulin it does make. Various studies have found a link between coffee and lower risk for heart disease, citing a 20% reduction in its incidence among those who drink 1-3 cups of coffee per day, compared to non-drinkers. In 2009, researchers observed that nurses who had a daily intake of 2 or more cups of coffee were 20% less likely to be victims of stroke. These diseases are notorious for the degenerative symptoms that become apparent with age, but the available research points out coffee might offer some defense. Although the evidence is limited concerning the mechanism through which coffee works to lower the risk of Parkinson’s disease, a longitudinal study conducted in 2009 in Finland showed that over a period of 20 years, individuals who drank 3-5 cups of coffee per day had a 65% risk reduction for developing Alzheimer’s or dementia. This entry was posted in health and tagged alzheimer, body, breakfast, coffee, coffein, cup, diabetes, fitness, health, heart, morning, nutrition, parkinson, soul, wellness on May 2, 2013 by norempli.